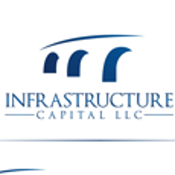 Daniel Irvin is the Managing Partner of Infrastructure Capital LLC, which manages a proprietary portfolio comprised of infrastructure-related assets including municipal securities. He has 30 years experience as an investment banker structuring, underwriting, marketing and trading municipal bonds; as CEO of an energy development company; and as an investor in infrastructure-related debt and equity. Are Puerto Rico's Coops Vultures? Puerto Rico Restructuring: Math Or Politics? Will Puerto Rico Sales Tax Bonds And PREPA 'Securitization' Be Subordinated To GOs? Could Sustained Negative Interest Rates Lead To Bank Deposit Outflows? CVR Refining, LP And CVR Partners, LP Trading At Significant Discount To CVR Energy, Inc.
Is It Crazy To Buy These Bonds?